Vaccines are one of the most important discoveries of the 20th century. Vaccines allow us to introduce the diseases to our children without actually getting them sick from the diseases. What happens is that if a child encounters a disease, say chicken pox or measles, the virus has a protein in it, and the child’s body recognizes that protein, which is called an antigen, and builds up antibodies, which are the body’s way of fighting the disease. What vaccines do is it takes some of those antigens, weakens or kills them so that they’re too weak to actually cause the disease in children, but strong enough to allow the child to develop the antibodies to the disease. This allows us to mount an immune response, and allows the child to fight off the disease without actually getting sick in the first place. It’s important to vaccinate your children according to the recommended schedule. Depending on where you are in Canada or in the US, this schedule will vary from province to province and from state to state, but overall, every disease is covered, and your child will be vaccinated against 14 diseases that used to kill children in childhood. The important thing to note is that you have to follow this schedule as it is recommended. These schedules are studied. They do not overload your child with too many antigens, and they do not put a burden on the immune system. They are studied to be safe and effective in childhood. The 14 diseases that they do prevent are: hepatitis A, hepatitis B, diphtheria, pertussis, tetanus, polio, Haemophilus influenzae - which can cause a severe respiratory infection in children - some forms of meningitis, some forms of pneumonia, measles, mumps, rubella, chicken pox, and rotavirus, which used to cause a diarrhea illness in children. 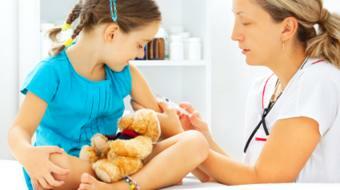 Most children can be vaccinated safely. 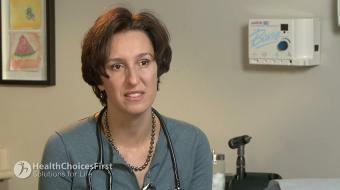 There are, however, some children who, for medical reasons, cannot receive vaccinations. These are children with autoimmune diseases, or children on chemotherapy, or some children who have severe allergies and therefore are allergic to components of the vaccination. It is important that your child who can tolerate these vaccines get vaccinated because this is the only way that we can protect those children who cannot be vaccinated. If most children around them are vaccinated, then the diseases don’t stand a chance of entering the community and therefore affecting those children who, for medical reasons, cannot be vaccinated. If you have any question about vaccinating your child or vaccinations in general, please contact your health care provider.